Switch Up Your Beauty Routine With Skin Care & Makeup Products From Aniise! You’re particular about what you put in your body – so it only makes sense you should care about what you put on it too. Aniise skin care and cosmetics are formulated with essential oils, herbs, botanicals and natural vitamins that protect and build healthy skin cells. Their line of products are essentially food for your skin, so your skin can be as healthy as the rest of you! Aniise is a skin care brand that expanded into cosmetics, offering healthy skin care products and mineral based makeup. They refrain from using alcohol, acids, parabens, and other harmful ingredients to ensure that your skin is moisturized, smooth, supple and glowing. Their goal is to thicken the skin so that outside influences, such as the sun and environmental stresses, won’t damage the skin. Their line is unisex, natural, and safe, so the philosophy is that anyone at any age should be able to use their products – just like anyone can eat an apple at any age and it’s good for them. 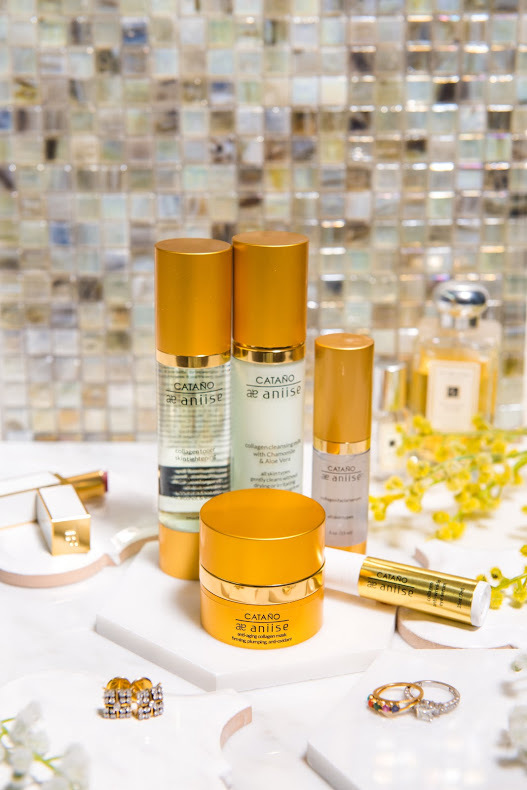 Whether you want to get an early start on your skincare routine or are looking to switch to a natural line that works, Aniise has the products for you! This innovative brand prides themselves on being cruelty-free and made in the USA. So Aniise is good for your skin and the animals! Ultra Immune Serum, Vitamin C With Rosehip Seed Oil – super multivitamin and anti-aging complex with Vitamin C to boost the skin’s immune system. Includes rosehip seed extract to calm, brighten and moisturize the skin. Also contains collagen and natural oils, such as chamomile, argan and rosemary extracts, making this serum the ideal natural food. Use it regularly and experience hydrated skin and less visible fine lines and wrinkles. Aniise Pro Matte Lip Stains – provides full coverage that stays on for hours. They glide on effortlessly and keep your lips soft and hydrated. Did we mention they’re kiss proof? With a variety of colors to choose from, you’ll find just the right match for your color and tone. Sugar Lip Scrub and Conditioner – Sheer Pink – protects and softens your lips with a blend of natural and nourishing oils, while leaving a soft tint of pink. It’s also an exfoliating and conditioning balm with grains of moisture-preserving sugar. Either apply and let the sugar melt away, or gently scrub it into the lips for an incredibly soft and supple feel.